Anyone who thinks running a household is a doddle clearly doesn’t spend enough time giving it a go! Many of us have to juggle full-time hours alongside families and making sure that our homes are kept clean and presentable – and for those of us with young children, especially with the summer holidays, this can be something of a mammoth task! At this time of year, when we’re all keen to try and make the most of the sunshine while we can, it’s very tempting to leave our washing and ironing to one side – but then we remember that it’ll be waiting for us when we get back! Or will it? 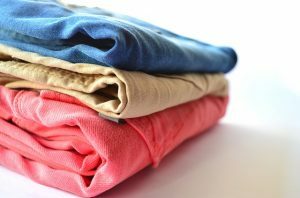 Washing and ironing will always be a regular task. We can’t go through life never washing our clothes! If we did, we certainly wouldn’t have many friends – which is why it’s often a mundane but highly important task that can often take a lot of time away from anything you could be doing. 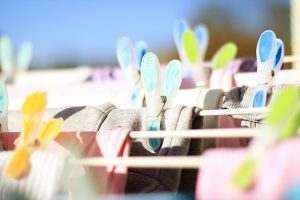 With the summer holidays in full flow, this time is likely based around making sure the kids are happy – and as many of us have to balance work alongside keeping our households up to scratch, making sure our mountains of washing is kept to a reasonable level is often easier said than done. But we needn’t worry – as help is at hand at a reasonable price – and you won’t even have to rope in the family to give you a hand! Sam’s Cleaning and Ironing Services provide cleaning professionals from all over the region – private household assistance is only a click or two away, and you’ll be surprised at how much you can save in the long run – time and money! You can hire one or two of our agency-listed staff for regular work, one-off jobs, or you could even rotate staff – we run an open agency and catalogue of professionals for a wide range of tasks. Washing and ironing is, of course, one of the number one household concerns – but our professionals can also handle the nittiest and grittiest of household tasks and chores elsewhere, too – from cleaning bathroom grouting to hoovering bedrooms, you may never need to lift a finger in the home again! It’s often extremely hard to balance work, family and keeping a clean house – wouldn’t it be a dream to be able to tackle it all without any headaches? This is primarily our reason for setting up shop – we love helping ordinary households reach their full, clean potential – and we love helping genuinely passionate professionals find happy homes to work with on a regular basis. It’s a mutual win-win! Why not go out and enjoy the sunshine while you can – and let one of our brilliant cleaning professionals handle your washing and ironing for you? Email us with any query you may have – or if you’d like to speak to us directly, call Sams Cleaning and Ironing Services today on 07712 227517.